Your search has returned 2 product results. Each poster from this set of 10 features a different mathematical concept and asks a question to kick-start students' thinking. From scientific units to powers of 10, the posters provide an engaging and thought-provoking visual reference for your students and will support you and your colleagues in your delivery of GCSEs. We are delighted to announce that, for the first time, our posters are available in downloadable format. Each poster from this set of 10 features a different mathematical concept and asks a question to kick-start students' thinking. From scientific units to powers of 10, the posters provide an engaging and thought-provoking visual reference for your students and will support you and your colleagues in your delivery of GCSEs. Multiplication games resources for GCSE maths lessons. Tried and tested teaching resources, written and edited by maths teachers, and available to download, print or adapt. Teachit maths online calculator. A perfect teaching aid for your maths lessons. 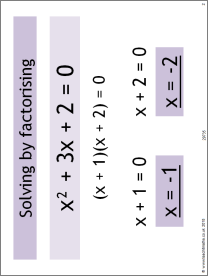 Used for classroom activities and other maths activities. Sequencing activities for KS3, KS4 and KS5 Maths. Aimed at teachers as the perfect teaching resource. Download, or adapt this resource to fit your lesson. Use our fraction games to help teach maths. Our interactive Fraction Wall is an essential classic for equivalent values. Log in to access and use. Create your own maths puzzles with our templates, or adapt our handy classroom-ready resources to help make maths teaching fun. Available to download. Multiplication grid available to download. A tried and trusted maths tool. Explore your tables up to 15, by colouring the patterns you discover. Download interactive maths teaching resources for negative numbers. Teaching negative numbers is a cinch with our interactive lift and thermometer! Download available. Our wonderfully versatile number line is ideal for anything based on a scale: multiples, sequences, reading from scales, addition, subtraction… Download now. Number work transition resources Develop skills with use of number including 4 rules, number properties, fractions, decimals and percentages. Probability and statistics Develop skills in the area of probability and statistics to prepare for challenging ideas. We have resources on collection of data and ways of displaying data. Explore ratios through counters, dividing a quantity into a ratio, and finding measurements from scale drawings. Different levels available, to suit your class.